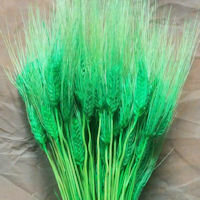 Our dyed wheat stack makes a fun and festive stand alone bouquet, it will last for years in a dry, pest free environment. 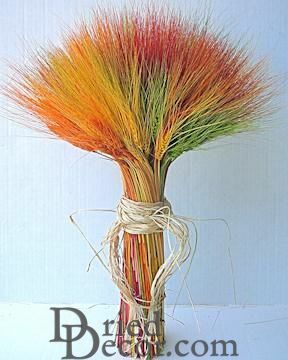 Whether put on display for a natural burst of color, or brought out for special occasions, the dyed wheat stack will be a happy focal point wherever it is displayed. Buy a Case and Save: Buy a full case of 8 bunches and Save Even More! 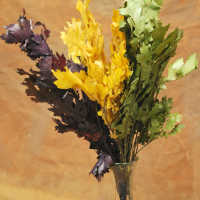 Our dyed wheat stack makes a fun and festive stand alone bouquet. 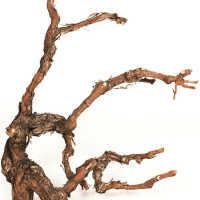 It will last for years in a dry, pest free environment. 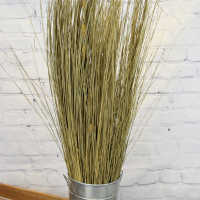 Whether put on display for a natural burst of color, or brought out for special occasions, the dyed wheat stack will be a happy focal point wherever it is displayed. 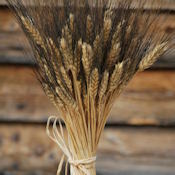 Simply remove the band from the base of the wheat stack. (The stack is banded to prevent breakage during shipping). 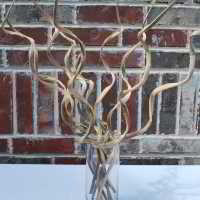 Then give a little twist to the stems, and they will fan out to make a stand alone bouquet. 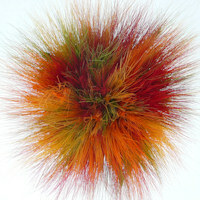 This bouquet also is fun and festive placed in a vase or basket. 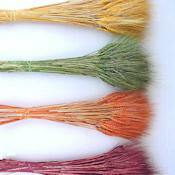 However you choose to display the dyed wheat stack, its fun blend of colors and the beauty of the natural wheat make a bouquet that is unique, fun, festive and beautiful. Looks great! 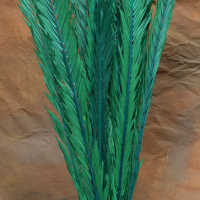 Going to be using as my centerpieces for tables at wedding this fall! Great prices and quality! 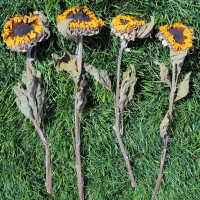 I'm excited for my wedding this fall with all my dried flowers! Exactly what I was looking for. Bigger then I expected too. 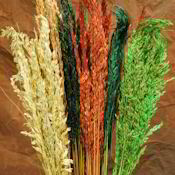 These wheat stocks are pretty although not quite as colorful as shown. The bundle was also huge and more than I needed, but overall I'm happy with my purchase. Love the colors can't wait to weave it. 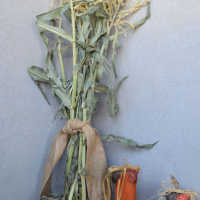 It was big wheat stocks and I'm looking forward to weaving it. It came quickly packed nicely. Very happy with order!